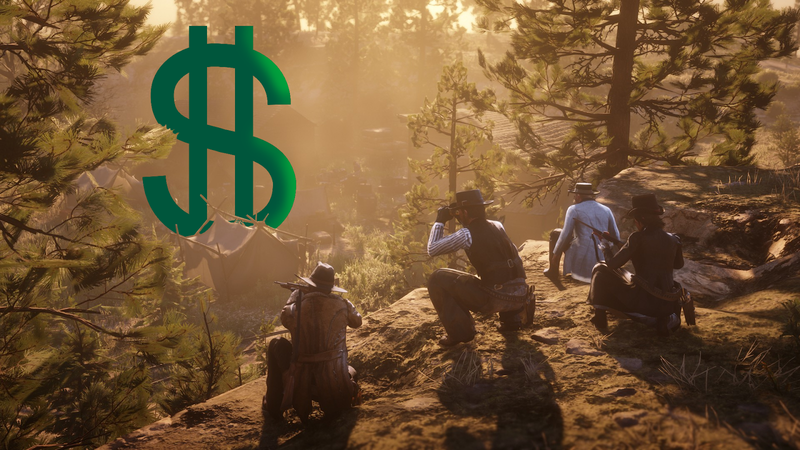 Rockstar has stated on their website that gold bars will be used to unlock cosmetic items, like decorations for your camp. But in the current RDO beta there are items that can be bought with gold, like a fishing lure or some crafting pamphlets. These items aren’t going to break the competitive balance of a match or a mission, but they’re more than just cosmetics. None of the items you unlock early are powerful weapons or unfair armor, but having the functionality at all to unlock stuff early using gold in game is worrying. If not properly balanced, it could lead to a situation where players willing to fork over cash for gold could get an advantage over players unwilling to engage in microtransactions. Right now, many Red Dead Online players feels like the game is a grind with not much to actually grind for. It’s a similar feeling many, including myself, had when GTA Online first launched. Veterans of that game will be familiar with grinding missions like Violent Duct over and over again for hours just so they could buy an apartment. GTA Online eventually added more ways to earn money, but for many fans it also became too expensive. Hopefully Red Dead Online can avoid that scenario.